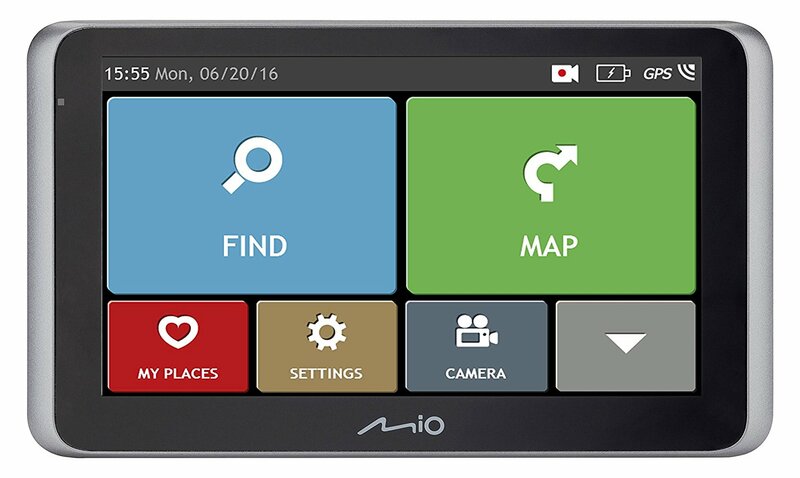 MiTAC today announces the Mio MiVue Drive series, a range of in-vehicle devices designed to seamlessly integrate car navigation with quality dash cam recording, all in one solution. Acting as a driver’s personal eyewitness on the road while also using leading navigation features to help navigate from A to B, the new MiVue range is Mio’s most advanced set of in-vehicle devices yet. The new range caters for the needs of every driver and budget. The Mio MiVue Drive 65 LM, 60 LM, 55 LM, 50 LM and 65 LM Truck are equipped with Extreme HD (1296p), or Full HD (1080p) video recording as a minimum, and an advanced glass lens which lets more light in – the F1.8 aperture and 140° wide angle view, results in brighter, clearer footage in any conditions. These features combine with Mio’s leading car navigation software, with Lifetime Safety Camera and Map Updates, to create one of the most intelligent devices on the road. The devices also feature Mio’s innovative Advanced Driver Awareness Systems (ADAS) for safety and to support better driving. ADAS includes a Lane Departure Warning System (LDWS) and Forward Collision Warning System (FCWS), giving drivers a signal if they drift out of their lane, or if they are driving too close to the car in front. These features use the superior video quality to play a crucial role in helping a driver to constantly be aware of everything around the vehicle. In addition to navigation, built-in GPS also provides information about positioning and speed for both live feed and all recorded videos. Every device comes with a 16GB SD card included. The Mio Mivue Drive 65 LM, 60 LM, 55 LM, 50 LM and 65 LM Truck are available today in retail and online, as well as at the Mio e-shop at mio.com.